This is a complete date set of 34 Silver American Eagles from 1986 thorugh 2019. 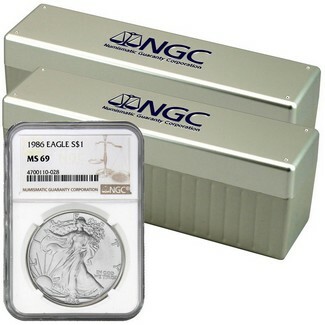 Each coin is 1oz of .999 fine silver and has been certified by NGC in MS69 condition and encapsulated in their brown label. The set will arrive in two NGC storage boxes.